At What Age do Children Develop a Love for Books? With your help- it can happen at any age. Children's Books don't have to fall prey to the new "king of the jungle" (also known as Technology). I know you're thinking, it's impossible to get your little one to let go of his handheld controller thingy just to pickup a plain ol' book. But I tell ya, it can happen. The Children's Book-Worm is committed to helping parents, grandparents, teachers, mentors, and anyone who is concerned about the "lost art of reading" in today's generation. We're here to motivate you to movitate him and her to read. And just to prove that we're not a bunch of nerds pushing our views on innocent children, we also offer some ways for you to earn kool points with your kids: Edu-tainment. Edu-tainment is a combination of the thing that makes you look like an involved caregiver (Education) and the thing that makes your child happy (Entertainment). Popular Children's books that teachers are recommending, kids are reading, and what parents are buying. Strategies and Activities to improve Reading Comprehension. Free Preschool Lessons that develop early reading and language skills. Free, Fun, Educational Games for kids. Lots of Scavenger Hunt variations, Vocabulary Games, Mad Libs and more to choose from;including a great new twist on the candy bar game. 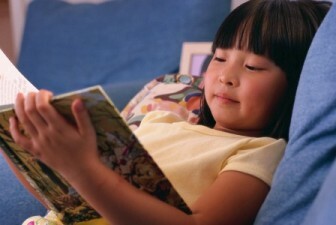 Free Reading Strategies, Lesson Plans, and more to help your child read better. Childrens Book-Worm blog is the place where parents and kids go to get the poplar book selections, educational -yet fun games, and the latest educational news. EduTainers E-zine dedicated to educating and entertaining elementary kids. Contact ChildrensBook-Worm with your thoughts, comments, or suggestions. Would you like to share your knowledge about childrens books? Great, find out how you can submit your story or tip here.